Limited edition of 3,000 copies. 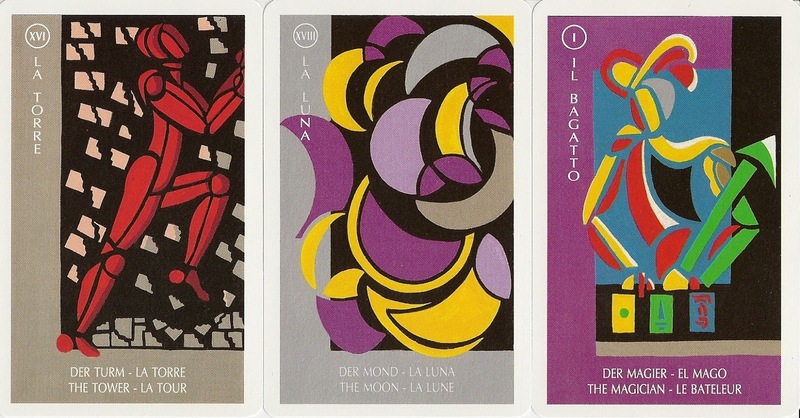 All cards are titled in Italian as well as in English, Spanish, French and German. 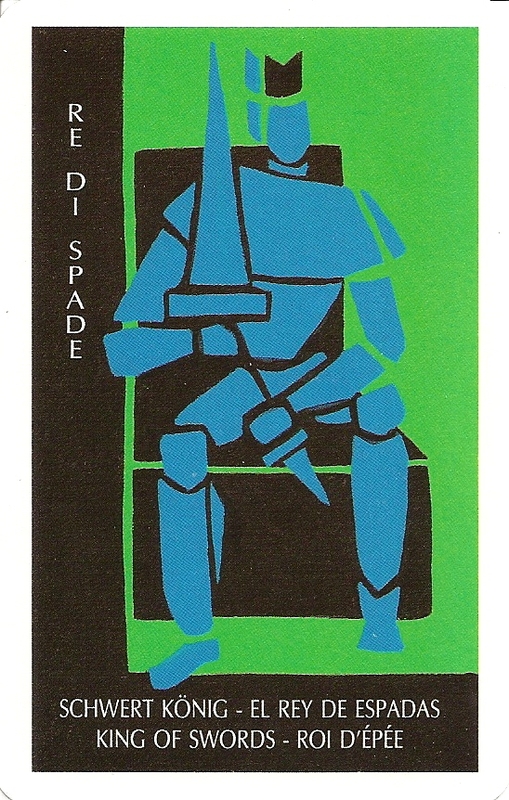 The deck includes a title card and a card describing in Italian the artistic conception. Mine came with an additional explanation sheet in German. Bold areas of color form minimalistic figures and objects. The back design is wavy stripes in various colors. Italcards stopped producing playing cards around 1993. 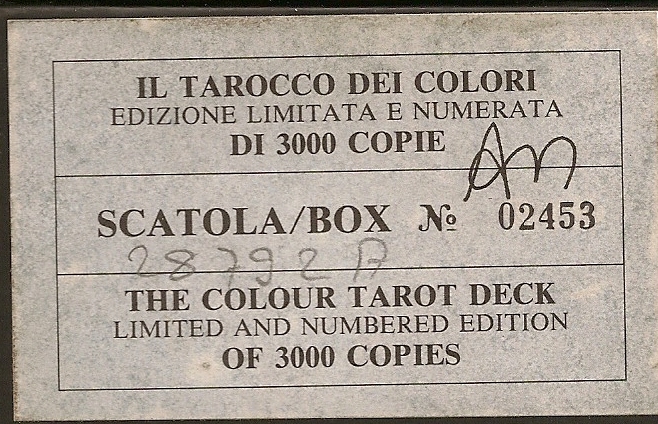 The most recent date on any of their packs is 1992 (I tarocchi nei colori della Toscana).